Happy Thanksgiving! As we near the end of 2016, I'm sure you've got your mind set on some holiday spending. But I want to redirect your attention to holiday savings - specifically saving from Uncle Sam. If you find yourself with an extra 30 minutes and want to use it to keep more of your hard-earned money, consider these year end tax tips. 1. Max out your employer sponsored retirement plans (401k/403b/457). Some of you may be lucky enough to have the benefit of both a 403b AND a 457 plan – You’ll be able to contribute up to the $18,000 limit for BOTH plans for a total of $36,000! If $18,000 is a little too much for you to stomach, at least max out the portion matched by your employer. Why pass up on free money right? Keep in mind all contributions must come thru payroll deduction so you can't just write a check at the end of the year - I learned that lesson the hard way. 2. Max out your Individual Retirement Arrangements (IRA), preferably a ROTH IRA. While you won't get cool benefits like employer matching contributions, IRAs also help you build wealth long term tax deferred (or tax-free in the case of a ROTH IRA). 3. Max out your Health Savings Account (HSA). As far as why an HSA is advantageous to your wealth (pun intended), see my previous posts HERE and HERE. The standard deduction is EASY, everyone gets it. Itemized deductions take more work, but may save you more money. Here we run into a bit of a chicken-and-egg problem - in order to figure out whether you should take the itemized deductions, you actually have to figure out your itemized deductions first! After all, why bother itemizing if you get more with the standard deduction? Luckily these days most tax software will calculate this for you. Here are 3 of the most popular itemized deductions, can you take advantage? Mortgage interest deduction - one of the perks of owning over renting.You can deduct up to $1,000,000 in mortgage interest paid on your first and second mortgages. $500,000 if married filing separately. 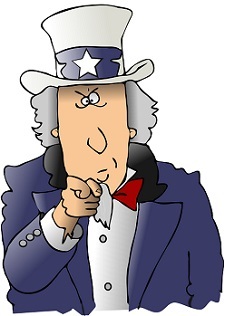 State & Local Taxes paid - at least Uncle Sam is somewhat reasonable here.You can deduct either the state & local income tax or sales tax paid, but not both. Charitable gift deduction - in a giving mood? You can warm the heart of others while enjoying a tax deduction on your charitable giving. 5. Did you have any business expenses? If not, do you need an office upgrade? Some new furniture perhaps? Just do it before the end of the year! For a list of tax-deductible business expenses, check out this Bankrate article - A dozen deductions for your small business. There you have it, a few basic tax tuneups tips you can do before the start of 2017 to optimize your tax bill. Of course everyone's situation is different. If you have any questions regarding the specifics of different tax deductions, consult a licensed tax professional. Questions & comments? Reach out to me at http://futureproofmd.com/.